Last month, I posted half of the results of a Blind Taste Test I conducted with my roommates MOA & Yuri along with MOA’s friend David. The first half of Part 1 covered Kellogg’s Pop-Tarts vs. Trader Joe’s Toaster Pastries along with Pirate Brands’s Pirate Booty vs. Trader Joe’s Corn Puffs. A correction must be made about the last post – I was incorrect about Pirate Booty not being available in other flavors because they also come in barbeque, sour cream & onion, & veggie. I’m human, I make mistakes, y’all! 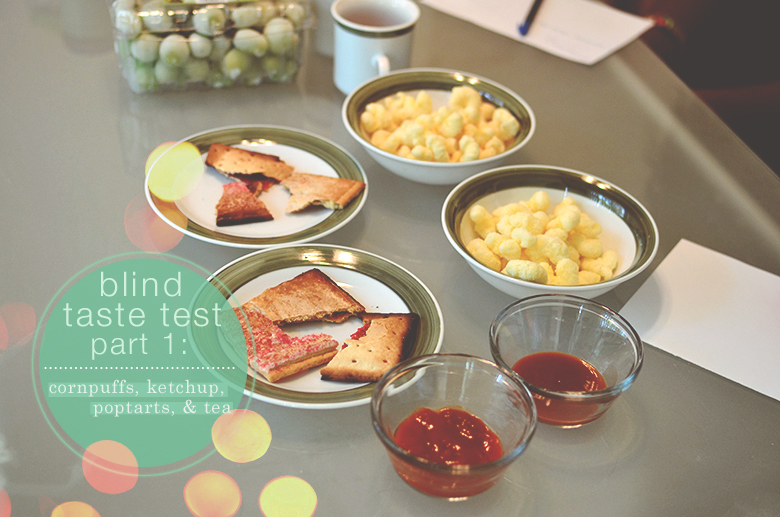 So how did our taste testers fair with Tea Chai Te’s loose leaf tea vs. Tea Forté’s pyramid infuser & Trader Joe’s Organic Ketchup vs. Heinz’s Ketchup? Find out after the jump!